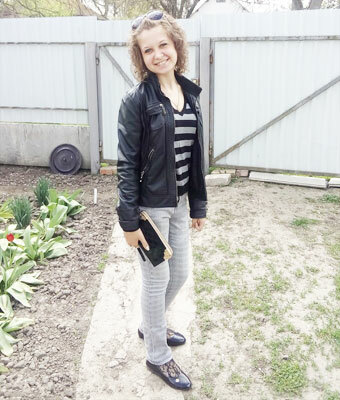 Write about yourself : My name is Alena. I am an Ukrainian girl. I am christian, but I respect all religions.I love spending evenings at home with a cup of tea, reading a book. I like strolling in the evening. I don't like nightclubs or bars. I like reading books, listening to music and cooking.